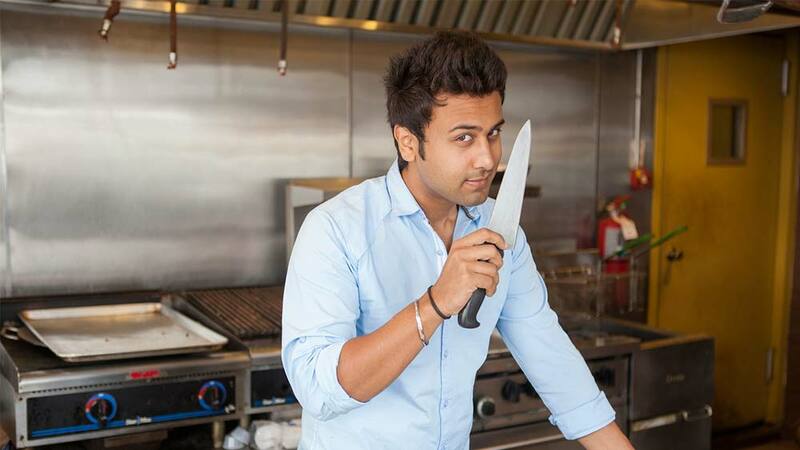 ﻿ "I look for regional foods and local ingredients"
"I look for regional foods and local ingredients"
In an exclusive interview to Restaurant India, Master Chef winner Ripu Daman Handa talks about his culinary stint. It all started when Ripu entered the kitchen for the first time to cook for his mom and sister in law when he was in school. They appreciated and encouraged the young chef to try his hands on cooking. And the journey began. He would often visit “Gurudwara” and make chapatis there to practice making the perfect “Rotis”. And, it was 3 years back when he came to know that there is some audition going for any cooking show. I And, his ove to cook and passion made him a chef today. What was the game changer phase in your life? “Masterchef – Kitchen ke superstar” changed the life completely. I learned, inherited, practiced, adopted and invented new things in the culinary art and one day with immense support and never-ending love, winning the title. I always wanted to make my Parents and brother feel proud of me and finally with god’s grace was able to do that. How did you enter into the culinary world? I was 21 years old when I came to know about Master Chef, everyone helped and guided me what to do in my life. And, after Master Chef victory, I never had a time to think what I wanted to do, I already had lots of shows, events, workshops in my kitty. And, I am still learning new things in culinary. I travel a lot today, learning cultures and its foods. When did you get a break experimenting your skill as an entrepreneur? While working for Nach Baliye, Alok Tiwari who is my partner came to meet me on the set and we both were discussing about desserts, foods. It was then we decided to work on our own restaurant, it took almost six month to work on the concept, name it and then bring it to existence. How was the investment done? We had seed funding from group of angel investors who have invested in Macchiato. We are opening one more restaurant this month in Ghatkopar, Mumbai. We are also opening our next outlet in Lucknow soon. I am very close to root kind of foods. I look for regional foods and local ingredients. Fresh spices are the biggest trend. Hotel Spa Business- Generating Revenues..
Bengaluru based Aioli plans to expand to Pune and ..